Move right into this fantastic 3 bedroom 2 bath Condo at wonderful Reunion Resort. Can use for short term rental too! This luxurious fully furnished condo overlooks the #11 green from your second floor balcony. Reunion Resort offers three (3) world class championship courses design by Arnold Palmer Tom Watson and Jack Nicklaus restaurants and pools. Master retreat has its own private balcony an oversize garden tub and separate glass shower. Fully equipped kitchen with a granite top breakfast bar and all major appliances. Split bedrooms and bath for your privacy and enjoyment. Washer and dryer is located in a closet near the hallway for your convenience. Four (4) new flat screen TVâs in 2017 * New HVAC system in 2016 * Buyerâs Home Warranty * Resort Rental Program Optional *Don't like the color of the carpets? "Owners" will give a $2000.00 carpet allowance!! 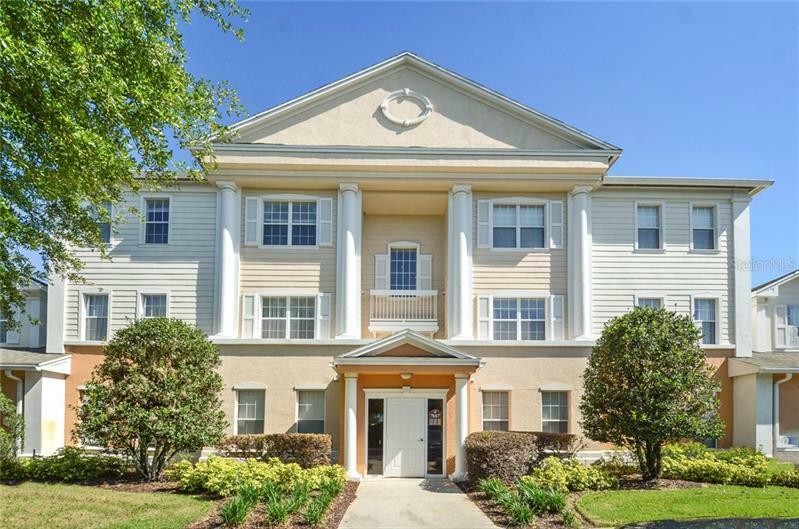 Close to all major Theme Parks especially Disney World shopping areas and major highways. Come enjoy vacation weeks and lease the condo for the rest of the year.